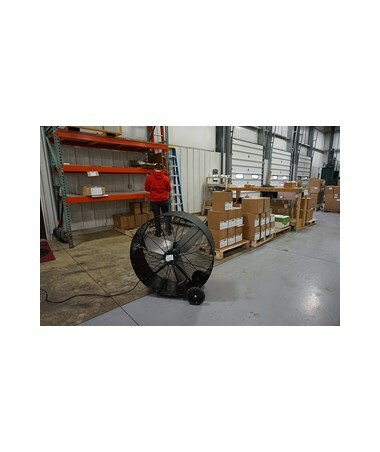 The TPI Commercial Belt-Drive Portable Blower is a reliable fan that is perfect for commercial environments including schools, warehouse offices, offices and other dry and clean environments. 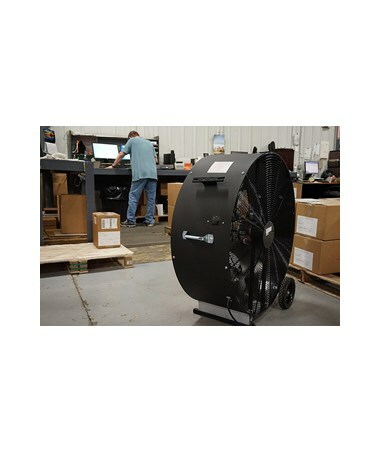 Featuring a rocker switch, this TPI belt-drive blower can easily plug into office outlets with its SJT type-3 conductor, eight-foot power cord. Also, it uses a single-phase, 120-volt power. This TPI belt-drive blower features a 2-speed switch that offers a high air velocity up to 8,800 cubic feet per minute (CFM). It comes with an ODP-type (open drip proof) motor that is designed to run cooler and not overheat. 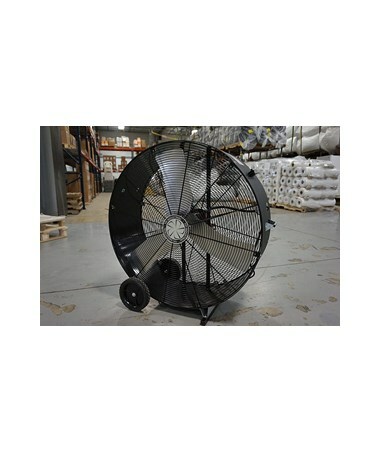 This TPI commercial blower comes with a ball bearing and is permanently lubricated. The TPI portable blower includes five-inch rubber wheels that are built to withstand rugged conditions. It is made of aluminum blades and has a powder-coated 20 gauge steel housing that can surely last for a long time. Plus, it comes with a spiral wire front and rear guards. 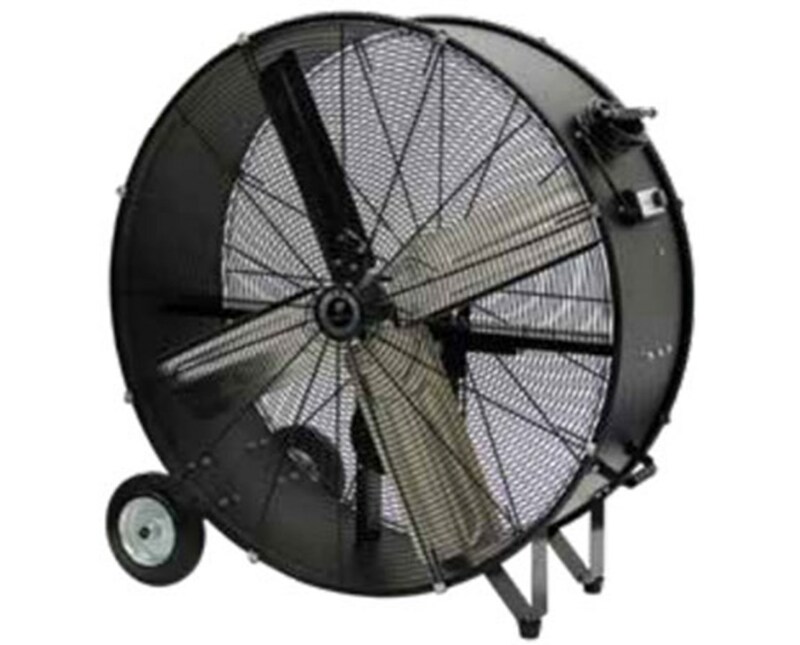 As an additional feature, this TPI fan meets OSHA standards. 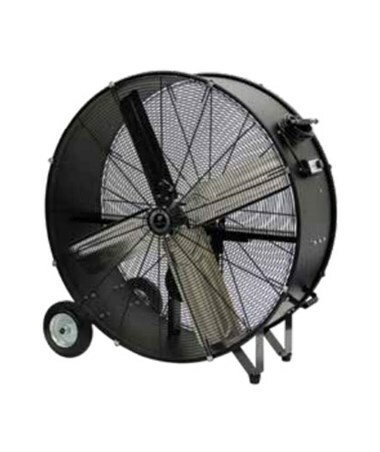 The TPI Commercial Belt-Drive Portable Blower has three available blade sizes for your needs. Please select your preference from the menu above.